Phew! That was quick. 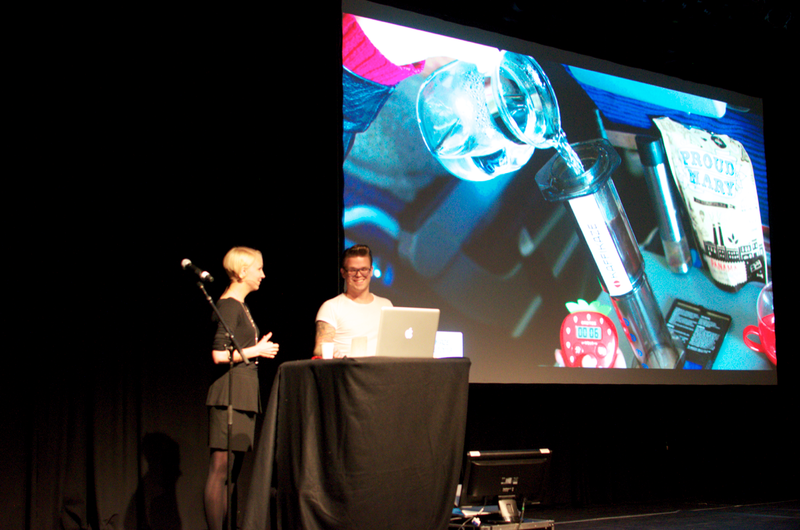 We had a short 10 minute speech about niche branding in the specialty coffee industry at Visuelt 2013 / #visuelt2013. Frankly speaking it was actually 11min 37sec according to the allmighty Strawberry timer. 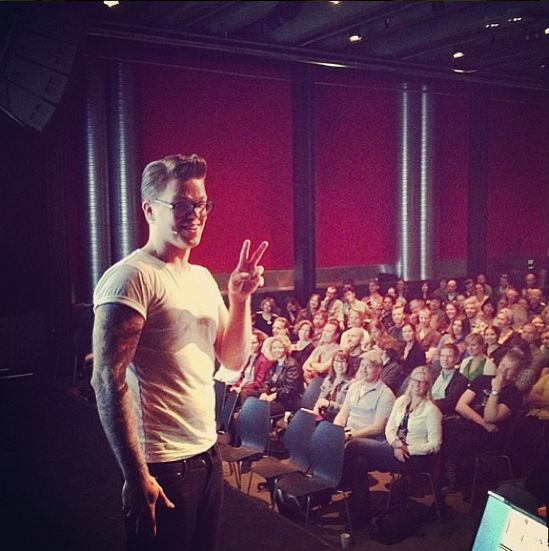 We talked about social media. We always wind up meeting people all around the world who we know from instagram already – it’s like we’re already friends before we’ve even met! Naturally we had to instagram live on stage. 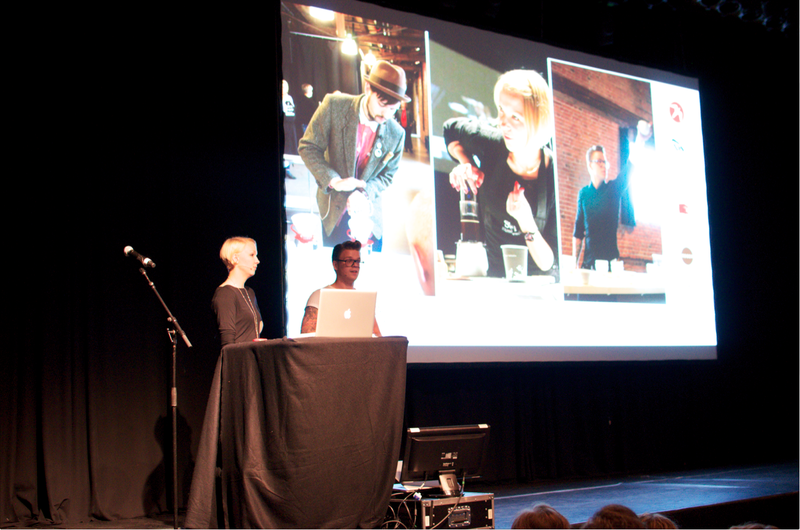 Our concept formed itself over time when we realized that specialty coffee bars around the world need products to sell that aren’t sold anywhere else. In addition, these products should be fun! 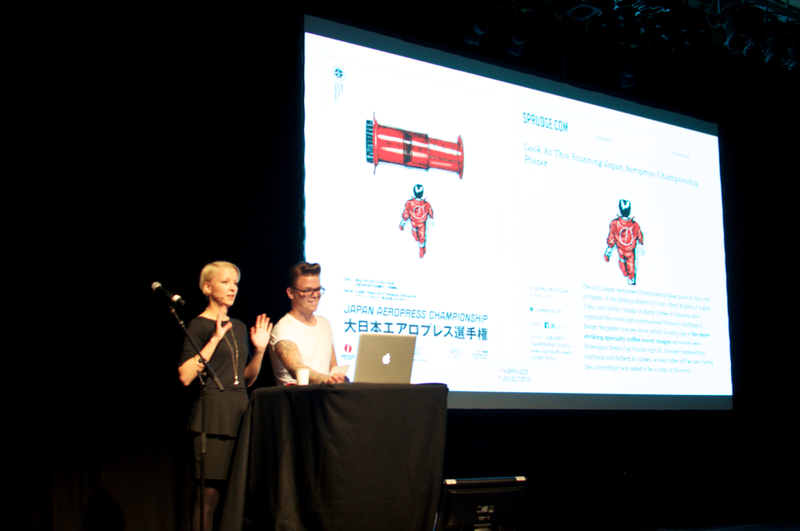 Visuelt is the National Norwegian Graphic Design Awards. 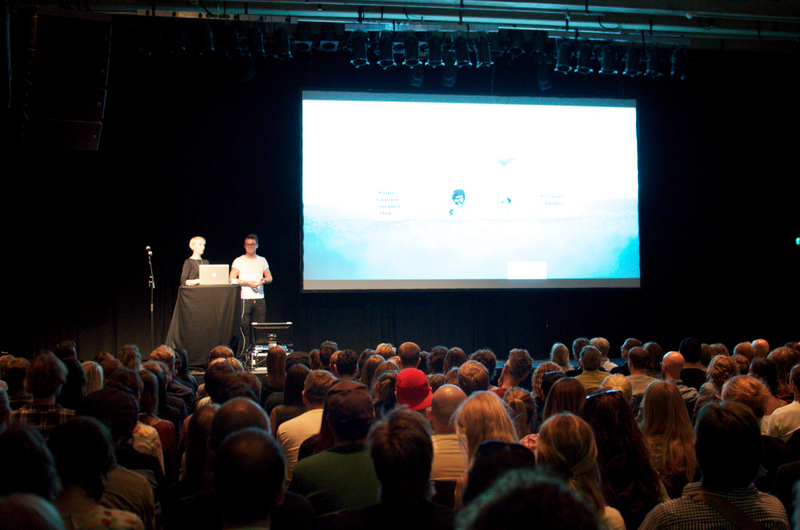 The Visuelt seminar is held annually in Oslo, arranged by Grafill, the Norwegian interest organization for people working with visual communication. 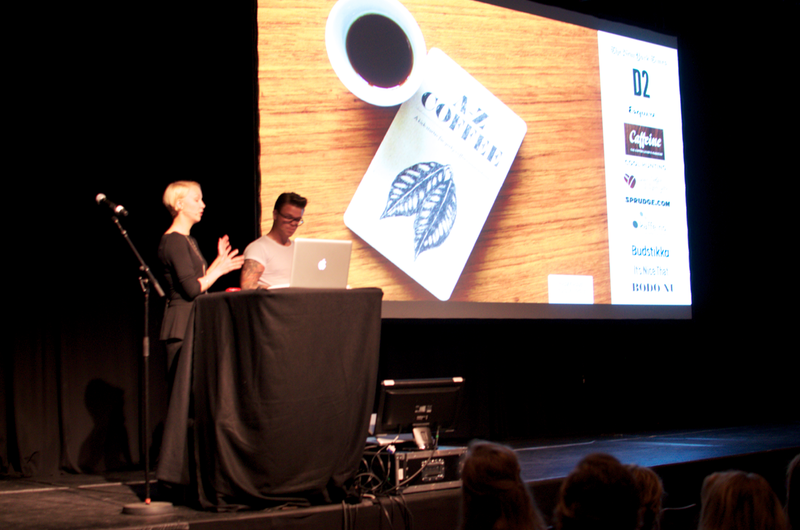 This year’s seminar also featured food from Food Studio and some amazing coffee from the esteemed Tim Wendelboe – Finca Tamana! Yum!! Another example of coffee stuff that’s not coffee. 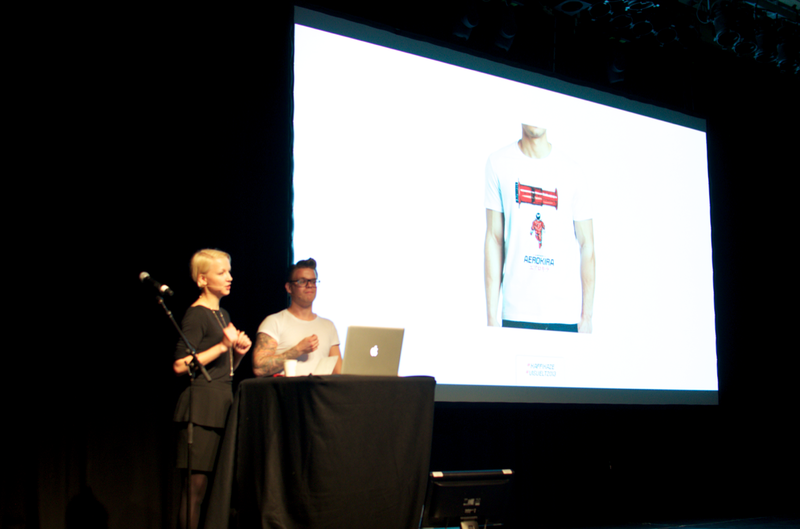 A t-shirt with a stunning Aeropress illustration. The Mile High Aeropress Club is a community of coffee enthusiasts all around the world, dedicated to make world class coffee everywhere. 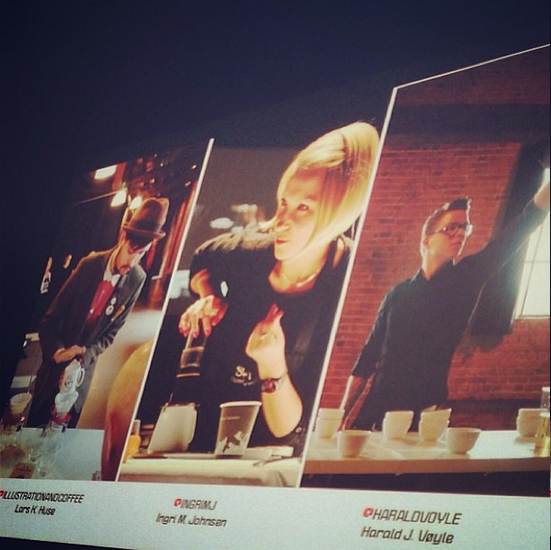 Our background in specialty coffee explored for the design industry audience. 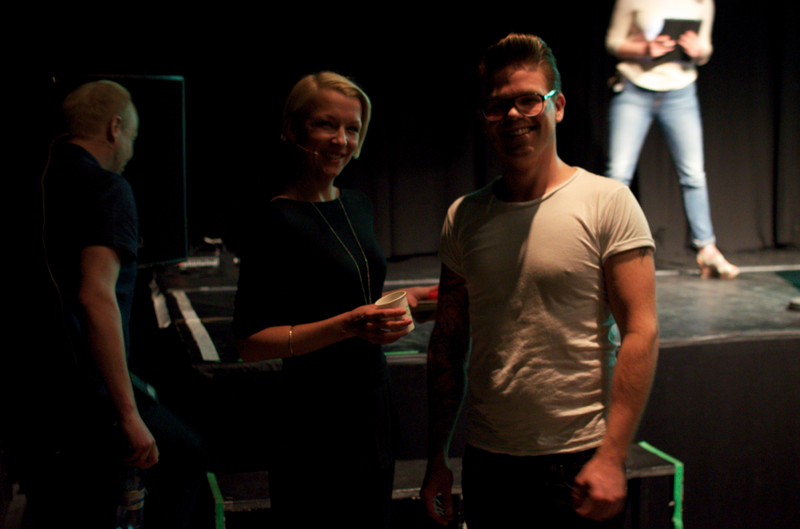 Ingri M. Johnsen and Harald J. Vøyle were pretty pleased after speaking with such a great crowd.